Real leaders inspire their players to better their performance through a philosophy, we look at the principles of the greatest. Phenomenal couches are logicians, thinkers, and philosophers, embracing and developing ideologies that ensure they are more effective at crafting winning team cultures one season after the other. The all-time greats are coaches that successfully ingrain their own philosophy into their players, and they are the ones who leave behind legacies to remember. From embracing focussing to meditation, the fundamentals hone consistent and a clear worldview that inspires and empowers players to constantly perform at their very best. Jackson was an avid practitioner of meditation since he read the book Zen Mind, Beginner’s Mind, not long after he started leading meditational groups, campaigning selflessness, compassion and mindfulness. 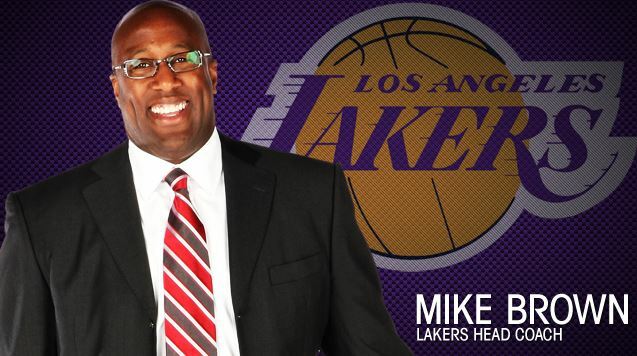 His mediation assisted him in leading the team to win no less than eleven NBA championships. Jackson noted that the goal of meditation was to strengthen the muscles of the mind, athletes could learn to centre and focus themselves, leaving only that required to perform at their very best. 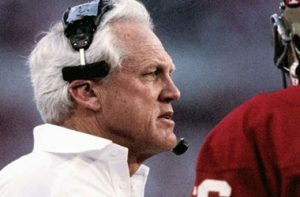 One of his techniques was to have players sit still in practice, his way of teaching them where their shoulders should be, how to hold their hands as well as the complete process of being in upright situations and the team bought into it. 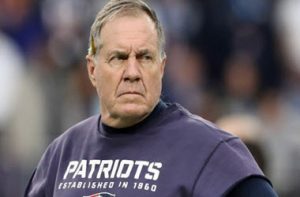 Winning fourteen seasons one after the other was Belichick’s legacy, do your job was his philosophy. His training was all about showing players the art of focus only on that they could control, their output, their performance. Everything else was to be ignored as it was just noise. In today’s fast-passed, hyper-connected environment getting distracted is easy. Ultimately the best performers in sports are those able to concentrate on their own responsibilities, it’s a matter of own your tasks or work and to embrace the clarity of it. Wooden had only a trio of rules, don’t make excuses, don’t complain and never whine only do your best. Keep moving forward even when things go wrong, don’t stop to complain or blame it only slows you down. Krzyzewski’s remarkable record is credited to his philosophy of next play. His belief is that not all is about what happened, that is the biggest mistake anyone can make, it’s never about the success you had before, it is always about the next play, the next thing you are planning to do, that way you can never fall behind. The Score Takes Care of Itself became a hit written by Walsh, in it, he explains in detail the concept of success. In advance of a game he wrote down every possible play for every situation, it gave him the confidence that he could execute any of it under pressure. Hard work is making decisions, always focus on the best outcome while being fully prepared for the worst. What makes a great basketball coach? 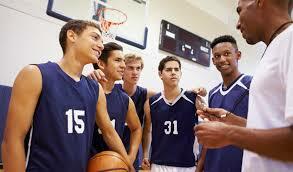 What makes a great basketball coach? The list of answers to this question can be extensive, as you can well imagine. So, let’s try and find some traits and characteristics that some of the best basketball coaches in the world share. One of the characteristics that can be found at or near the top of everyone’s list is integrity. Coaches must be trustworthy and honest. 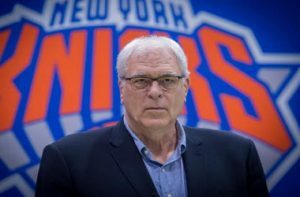 From Elementary and Middle School coaches watching over your son or daughter to NBA coaches working with multimillion-dollar per year professional athletes, coaches must be honest and forthright in their dealings with the players. Parents won’t let their kids play for a coach that they can trust and likewise, professional athletes won’t perform as well for a coach they can’t put their faith in. Perhaps the second most important characteristic of a successful coach is x’s and o’s. Coaches must know the game inside and out, upside and down. They have to adapt on the fly to changing game situations, manage offenses and defenses and quickly adjust player personnel. Basketball is an extremely fast-paced game and the successful coach must be prepared for any eventuality. The amount of variables in what makes up a winning basketball team make a coaches job extremely difficult. And because of the number of variables, the coach must become a master of delegation to his or her assistant coaches. Selecting assistant coaches that they can trust is one of the more important decisions a coach can make. Analysis and the ability to recognize tendencies are other attributesthat the most successful basketball coaches share. Coaches spend countless hours breaking down film, trying to determine what opposing players do in any given situation. They also use game film to analyze the tendencies of their own players in an effort to correct flaws or enhance certain aspects of the game. Learning the tendencies of all players on the court provides a distinct advantage. Knowing what a player may do in a certain situation can help you to either defend him or get him the ball. A successful coach must also decide on what aspect of the game to focus most of their attention. Insome games you may need more rebounds, in others you may need more three-point shots. In some you may need more defense, in others you may need more fast-break points. Knowing which facet of the game will provide you the biggest opportunity for an advantage could mean the difference between a win and a loss. Getting to know players personally can lead to success on the basketball court. Prayers recognize when the coach is personally invested in them and tend to perform much better in that setting. The players will consider the coach an integral part of the team if he can demonstrate that he truly cares for each and every one of them. Get to know your prayers, get to know your opponent’s, exploit weaknesses and maximize strengths. Most of all, be prepared for any eventualities.